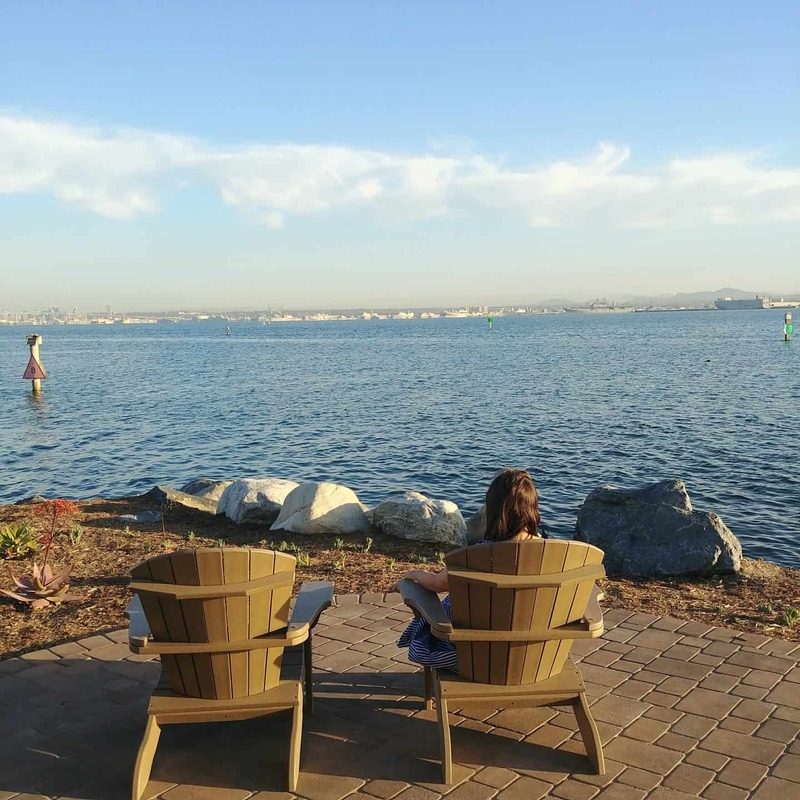 On the first stop of our recent southern California winter vacation we stayed at the Loews Coronado Bay Resort. 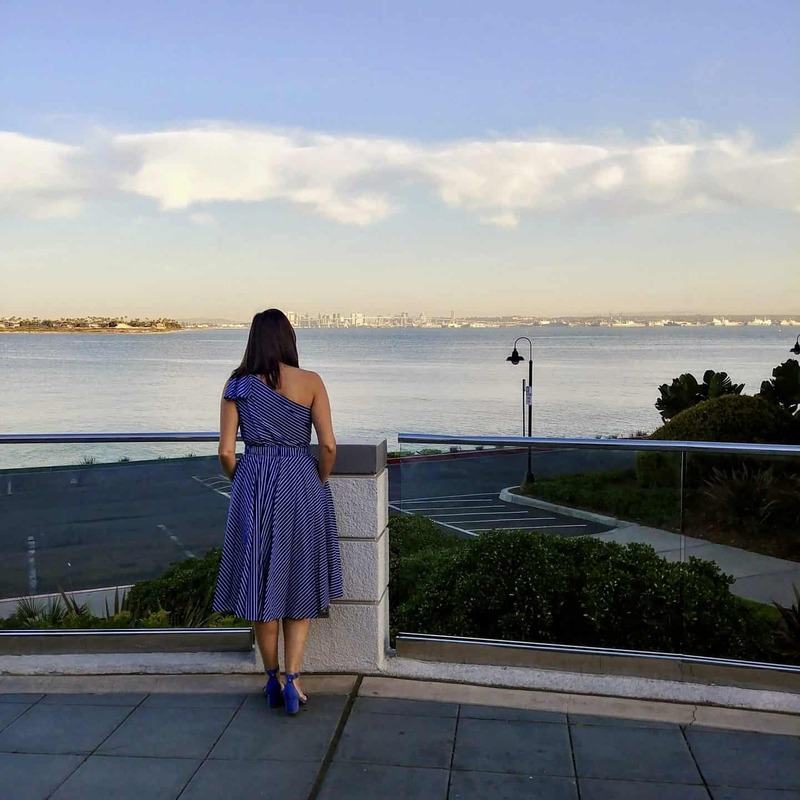 This resort is on a very unique private peninsula between the ocean and San Diego Bay and close to charming downtown Coronado. 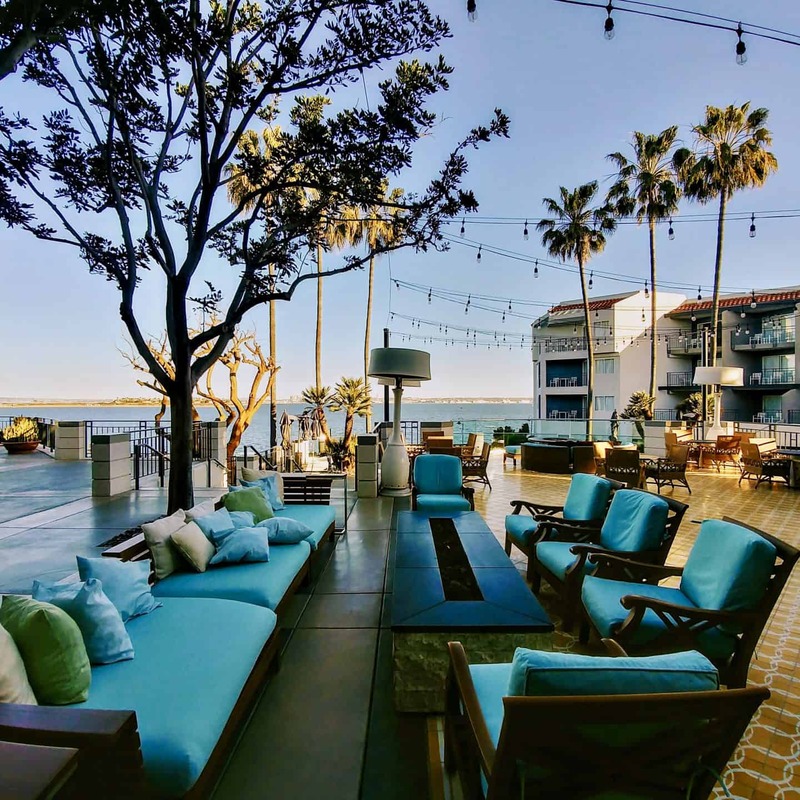 Almost completely surrounded by water, the resort offers amazing views of the bay and San Diego skyline. 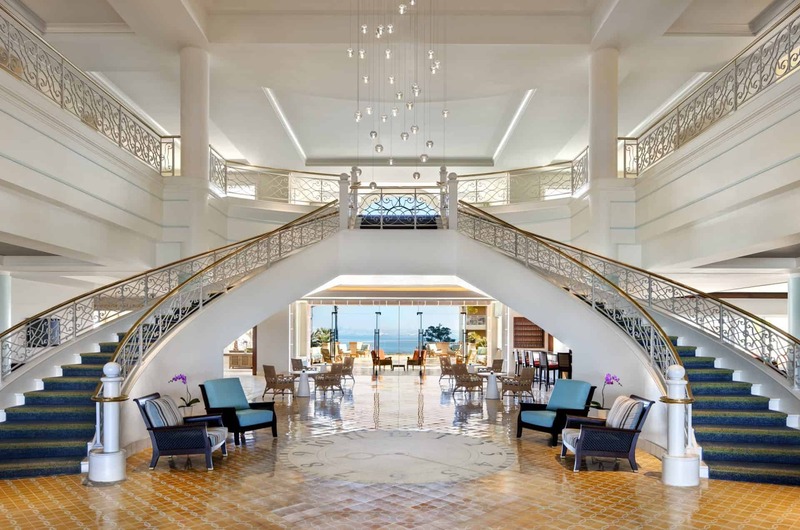 Upon arrival, as we entered into the very grand two storey lobby, the view of the San Diego skyline was perfectly centered by the most dramatic circular stairway. 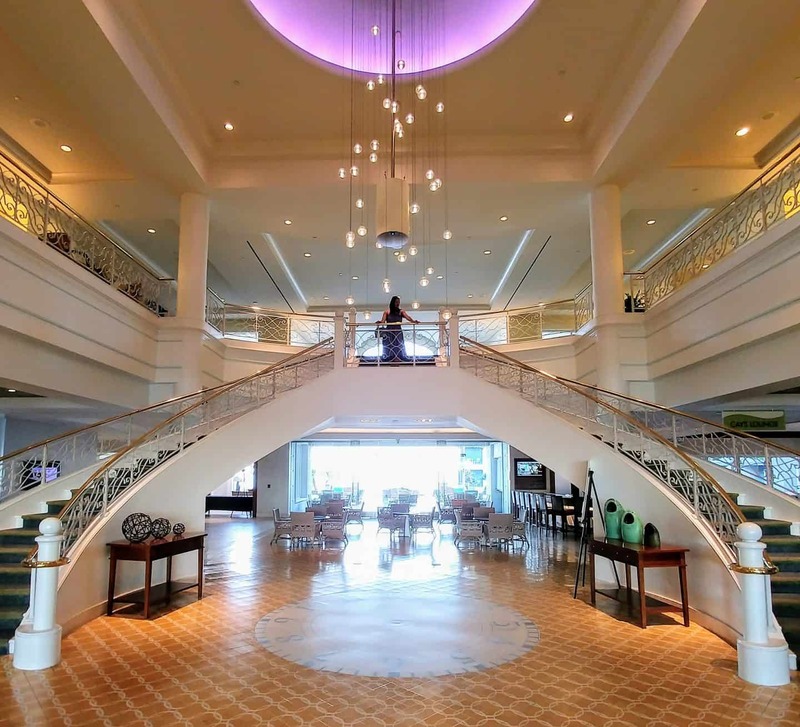 This lobby turned out to be exactly like the rest of the resort, very bright, airy and grand! 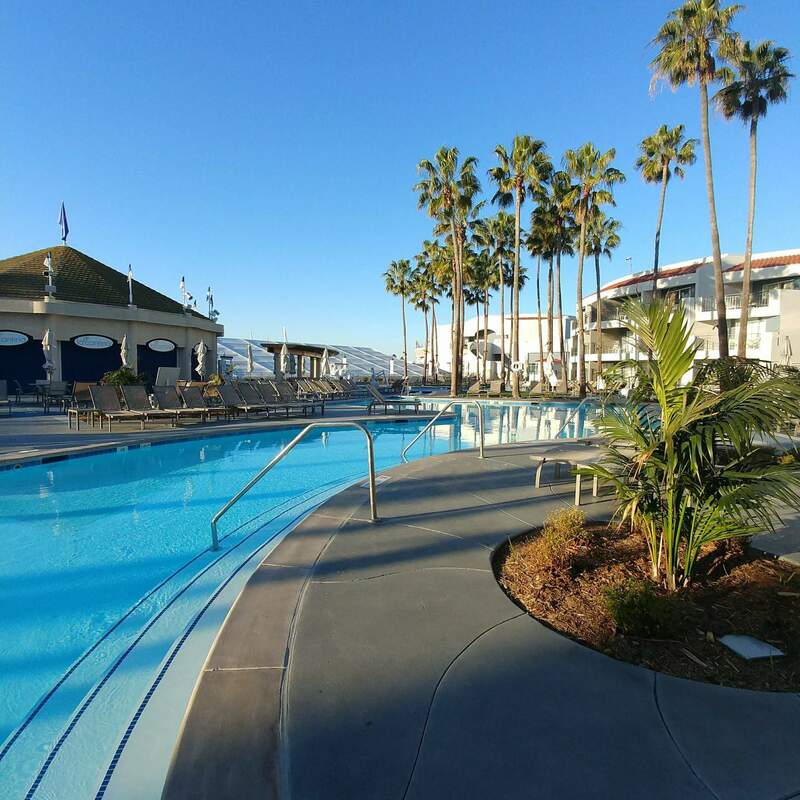 Another great feature of this resort is the free shuttle to Silver Strand beach and Coronado downtown village which is so charming with many shops and restaurants. On the resort you can find the full service restaurant Crown Landing featuring California farm fresh ingredients with a coastal feel and stunning bay views. Silver Strand Exchange is a cafe where we enjoyed our morning coffee, delicious healthy breakfasts and excellent Acai bowls! 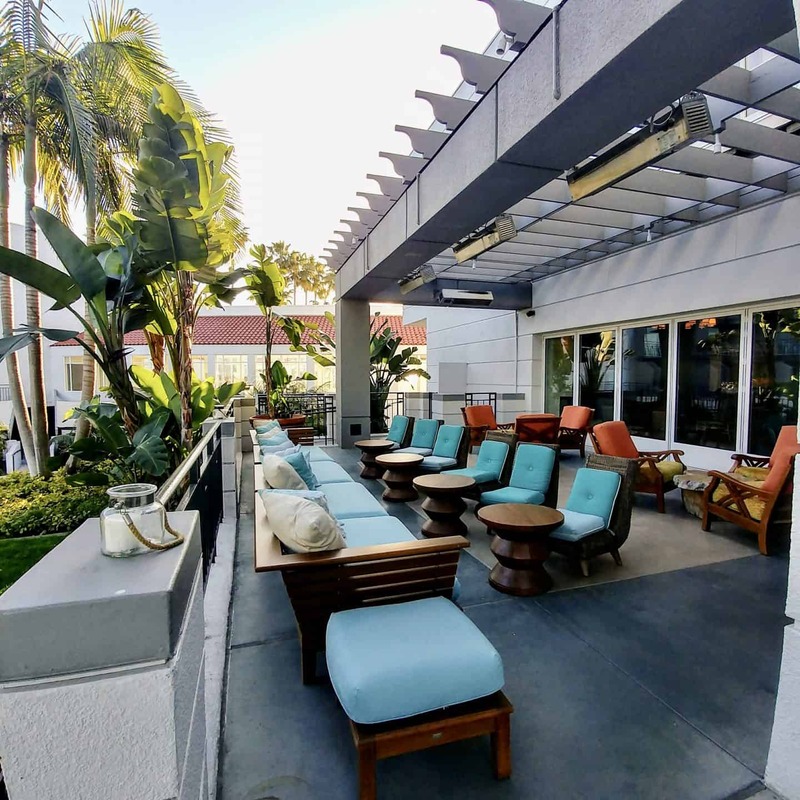 The Cays Lounge is where you can enjoy small plates with wines and craft beers. 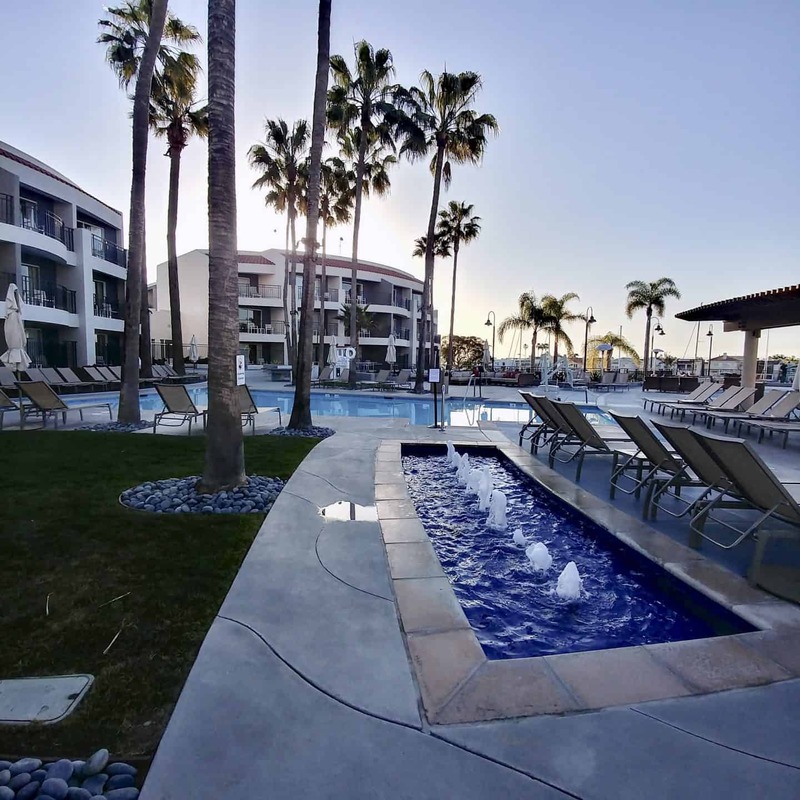 With this resort being so close to San Diego there are so many great things to see and experience. Our days were filled with so many exciting activities that we ran out time for everything. The best thing to do really is to set up an itinerary with the concierge as they know exactly what you could do on a given day. There are so many opportunities for day trips. 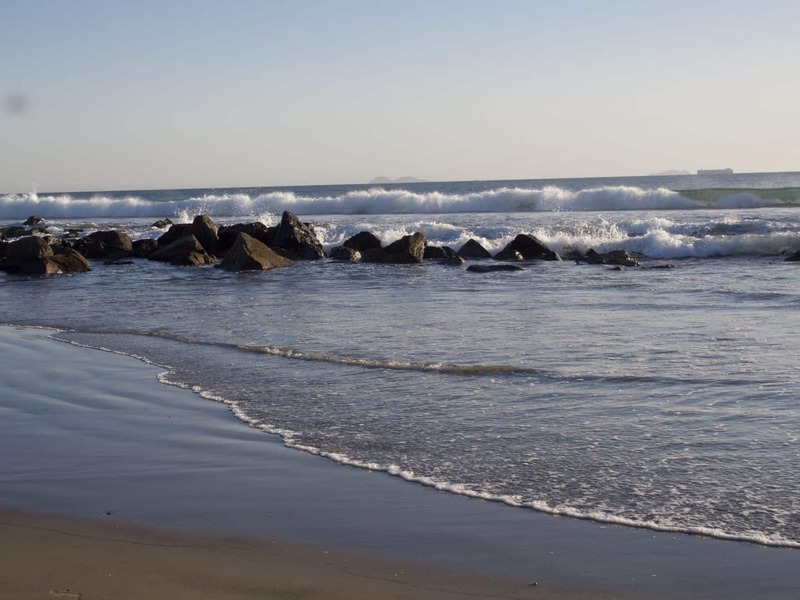 Be sure to explore downtown Coronado and take a short drive to La Jolla where I can sit all day and watch the seals. It’s no surprise this sprawling resort is popular with families but with it’s large size there are many qualities for couples seeking a quieter vacation as well. 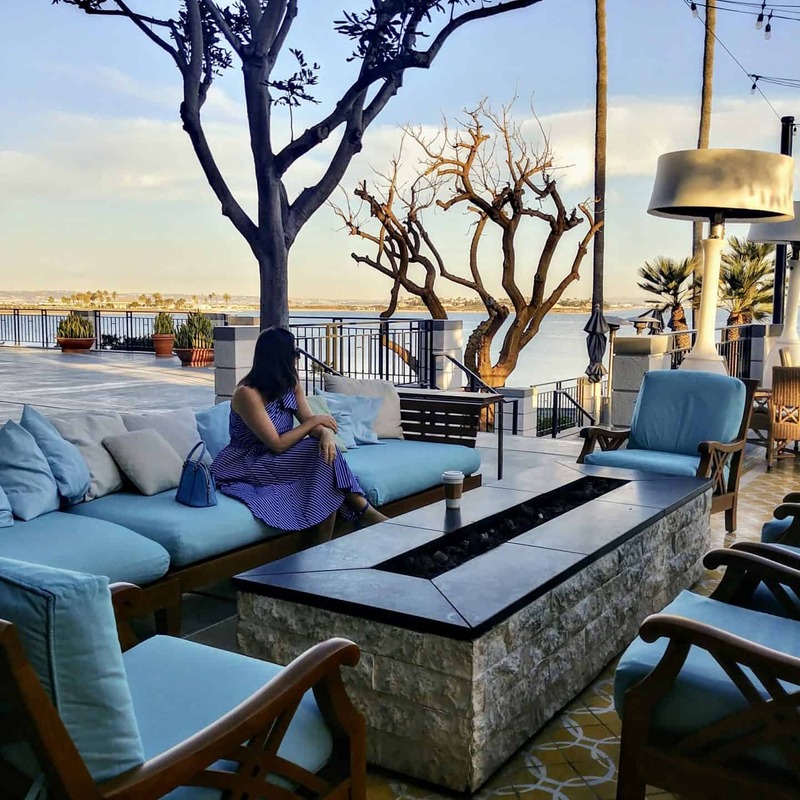 The Loews Coronado Bay Resort has skillfully designed their resort for anyone seeking a very special time in Coronado and the downtown San Diego Area. We absolutely loved our short stay at this resort and highly recommended it to all. 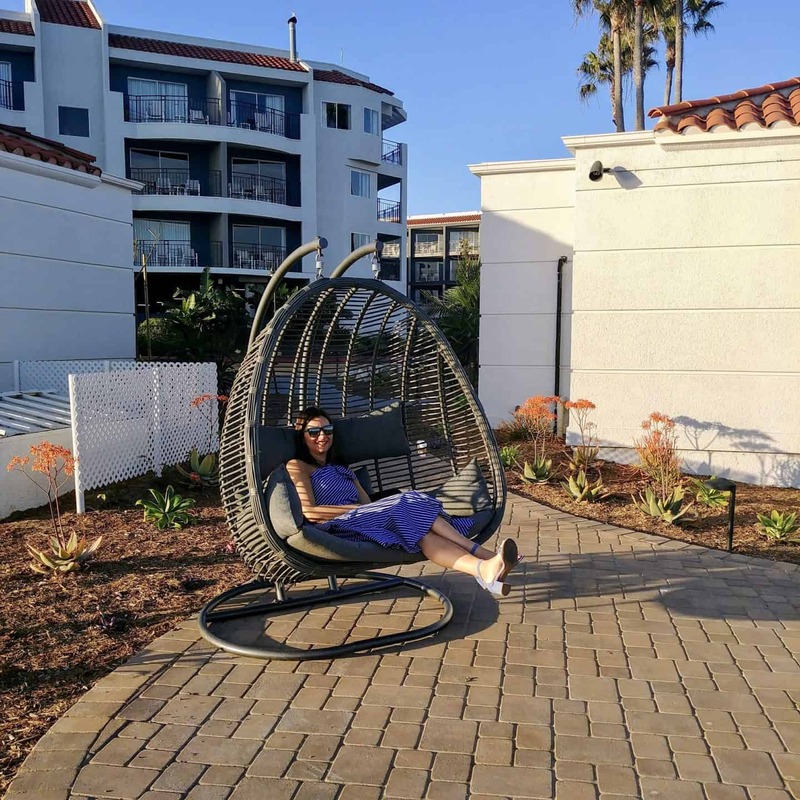 This post is written in partnership with Loews Coronado Bay Resort. As always, opinions are my own. A huge thanks for a wonderful stay. Thank you for introducing me to the Loews Coronado Bay Resort. The next time I visit San Diego, I would love to stay there. Looking at your first snap, I really felt you were talking about some palace rather than a hotel. I guess Loews Coronado has perfectly balanced luxury with comfort. The lounge area for a perfect evening and the bedrooms particularly look so comfortable. 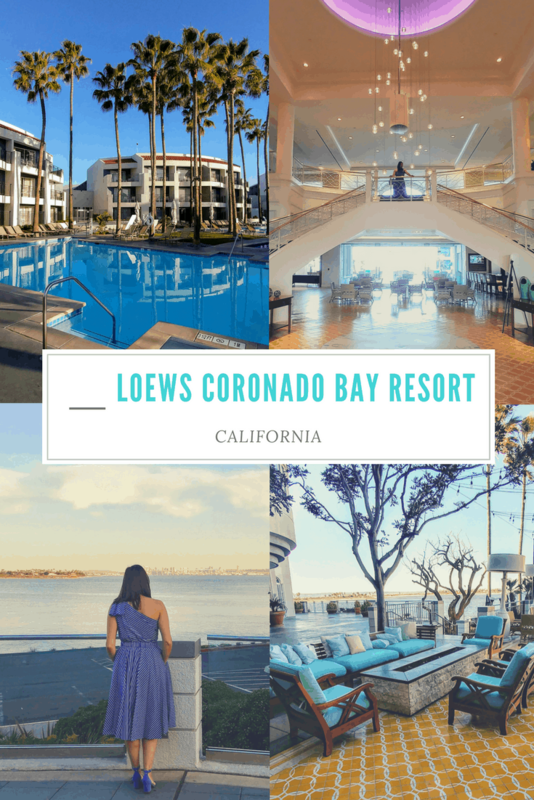 Loews Coronado Bay Resort looks and sounds like an amazing property. I appreciate the fact that it is surrounded by water. The resort also looks very luxurious and comfortable. 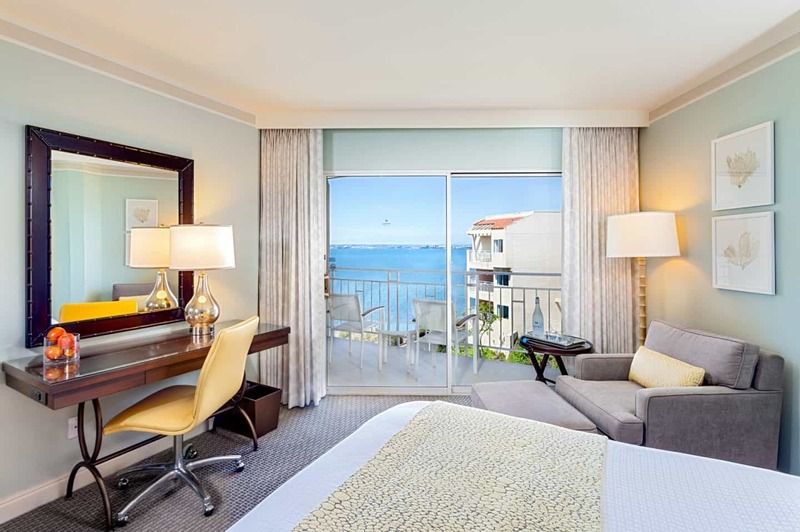 Loews Coronado Bay Resort looks like a slice of paradise. The pools look so inviting. The plush resort ambience seems straight out of the glossy pages of a travel brochure. The place looks perfect to spend time in pampered luxury and indulgence, a relaxing and rejuvenating stay seems on the cards. Looks like a wonderful resort! The swimming pool is so inviting and it seems like the resort is guaranteeing relaxation and complete rejuvenation.